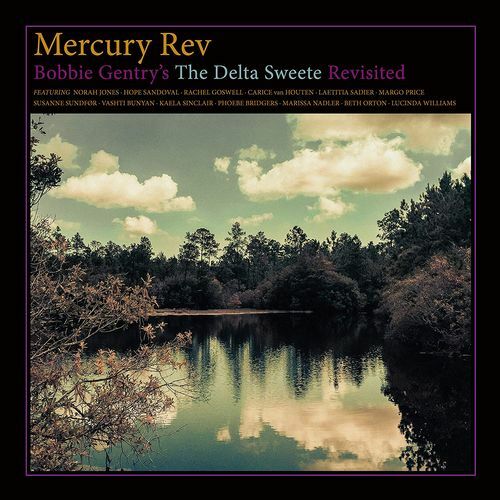 Indie psych pop heroes Mercury Rev play bandleader on an ambitious song-for-song remake of Bobbie Gentry’s country rock opera The Delta Sweete, originally released in 1968. Joining them on vocals is a veritable who’s who of modern female singer-songwriters, including Norah Jones, Margo Pierce, and Hope Sandoval, Phoebe Bridgers, all replicating Gentry’s trademark husky voice in their own unique way. There’s even a cover of Gentry’s legendary and forever mysterious breakout hit “Ode to Billie Joe,” appropriately sung by another country legend in Lucinda Williams. Draped in Mercury Rev’s trademark stargazing Americana and cavernous reverb, Bobbie Gentry’s The Delta Sweete Revisited is a tribute album done right; there’s no dutiful imitation or Greatest Hits-esque track sequencing to be found here. Mercury Rev, with a little help from their friends, have instead remade a forgotten classic in their own image, not beholden to tradition, but bringing it along for the ride.